When Barbara Sims was twenty-four, she went to work for Sun Records in Memphis. 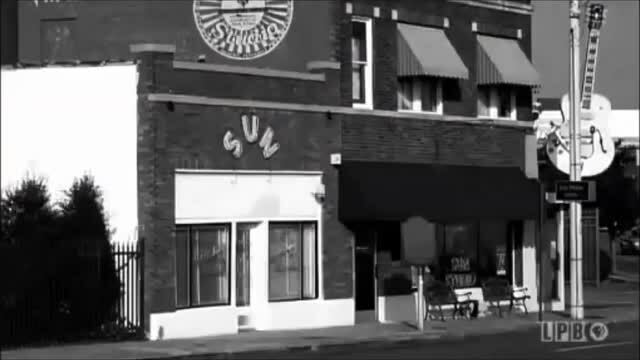 Headed by the fabled Sam Phillips, Sun housed the studio where such stars-to-be as Carl Perkins, Jerry Lee Lewis, Johnny Cash, and Roy Orbison recorded some of their first hits. By the time she arrived in 1958, Elvis Presley was The One That Got Away. He had recorded such tunes as ''That’s All Right'' with Sun, but RCA bought out his contract for $40,000, giving Phillips enough cash to keep his struggling business going. From then on, said Sims, Sun was looking for ''The next Elvis''. The Next Elvis: Searching for Stardom at Sun Records, Sims's account of her years at Sun, will be published in August 2014 by LSU Press. She writes about growing up in the small town of Corinth, Mississippi, and later studying radio, TV, and journalism at the University of Alabama at Tuscaloosa. ''It was one of the first degree programs in the country in TV and radio'', said Sims, who was Barbara Barnes when she graduated in 1955. ''I went to work for WAPB, the first public state network in the country. In broadcasting, the only jobs for women were as advertising copywriters. I wanted to be in the news. One station manager flatly told me they wouldn't hire a woman to do news. It was very discouraging. Women were so discriminated against at that time''. Eventually Sims headed for Memphis, the nearest big city, and worked in sales promotion for a TV station. When Sam Phillips heard about her, he asked to meet her and offered her a job at Sun. ''That was probably because of my background in broadcasting'', she said. Cautious, Sims kept her day job while freelancing for Sun; her first assignment was to write liner notes for albums by Carl Perkins and Johnny Cash. As she got to know the place and the people, she was persuaded by the messianic Phillips to quit her job and work at Sun full time. ''Sam was just sort of overpowering'', she recalled. ''Everybody was drawn into his wake''. At the time, its office at 706 Union Avenue was so tiny that ''everybody knew everybody else’s business'', said Sims. The personnel then comprised Sally Wilbourn, office manager, bookkeeper, and longtime mistress of Phillips; receptionist Regina Reese; and mail clerk Marion Keisker. Phillips's brother Jud was the sales manager, traveling all over the country promoting Sun's releases. He and Sims worked closely together as she wrote liner notes, brochures, press releases, and newsletters. With Carl Perkins' ''Blue Suede Shoes'', Sun had its first post-Elvis hit. Sims, working in an office next to the control room, got to know the musicians who recorded there. ''It was not like any other office I ever worked in'', she said. ''I really enjoyed the musicians coming and going''. In time, she even met Elvis, who was on leave from the army and dropped by for a visit. In uniform and ''yes ma'am'' polite, he was a ''beautiful sight'', writes Sims in the book. ''I saw a fit and glowing specimen of manhood with a neat haircut and custom-tailored uniform that showed off his perfect physique. He looked me squarely in the face in a sincere manner as he said he enjoyed meeting me, and I thought he had a lovely smile, with some warmth and humility shining through. What a dish''! Sims was a rare woman working in the mostly male world of the music business, which could be tough and cut-throat. Aware of the mores of the 1950s, she was careful to keep a professional distance from those she worked with and met at Sun. ''The culture in the fifties was so different'', she recalled. ''There was so much emphasis on propriety and standards. All the TV stations and newspapers ignored the seamier side of life. Blacks were ignored. Society has changed so much since the 1950s''. Her book includes personal details about her cozy apartment and shopping for the right clothes for a promo trip to New York or Chicago, where she met VIPs, stayed in fine hotels, and was introduced to escargots and other delicacies. Unable to afford a car at first, she traveled by bus, caught rides, and occasionally borrowed a set of wheels. ''I was always borrowing somebody's car'', she said. ''Having transportation was part of being truly independent. Getting around in a city was a big preoccupation''. (Finally, in 1958, she purchased a 1949 Chevrolet for $400). ''I had an unusual perspective about being self-supporting'', she recalled. ''My parents were divorced, and my mother emphasized that everybody needs to be self-supporting. It was hard for women of her generation to be divorced. She became a bookkeeper and office manager. The amount of money she could make was very limited''. She praised Phillips for hiring mostly women to run the Sun office as well as a radio station he owned. ''He was ahead of his time''. Sims had always loved music, which made her time at Sun a happy one. ''My first musical memory is marching around a table in Sunday school singing ''Jesus Loves The Little Children''. In my family, we were very familiar with rhythm and blues and black music. We listened to it on the radio. That’s where we got our music - church and radio''. By the time she was in high school, Sims was playing piano with a small combo. ''We played at the Rustic Inn in Corinth, Mississippi, which was run by a family of professional gamblers. I think people brought bottles; in the back they had gambling. But it was not rough at all. My mother would drive me to work at 9 pm.''. That love of music sustained her through some rough times at Sun. Phillips fired several employees, including his own brother. In 1960, the business moved to larger office space, a three-story building where, for the first time, Phillips finally had his own office. But the feeling of intimacy was lost. Sims, who comes across as an unusually mature twenty-something in the book, decided to get a graduate degree, with an eye toward teaching. While still working at Sun, she enrolled at Memphis State, taking classes nights and on weekends. In 1960, she earned a degree in English literature and was offered a job teaching English at LSU in Alexandria. She resigned from Sun and moved to Louisiana. While living in Alexandria, she met and married Robert Sims. They had a daughter, Sue, who now lives in Kentucky in a home for persons with special needs. In 1963, Sims began teaching at Louisiana State University in Baton Rouge, where she remained for thirty-three years, retiring in 1996. Her retirement, and her husband Robert’s death in 2004, gave Sims the time she needed to write a book about her Sun experiences. ''People had told me for years that I ought to write a book, but between teaching and my family I didn’t have time'', said Sims. But she realized there was great interest in her story when the Chautauqua Institution in New York - as well as several cruise lines - hired her to lecture on the subject. She started writing her story and found that her recall was excellent. ''I didn’t keep a diary, but I have very vivid memories of most of it'', she said. ''A lot of the conversations I remember verbatim''. While working on the book, Sims decided to clean out her attic and discovered the Sun newsletters she had written, which helped with the timeline of her story. They, along with 45s, albums, and a few photos, are among her treasured mementos of that time. ''At Sun I had witnessed three years of pure drama'', she writes. ''At Sun, making music was ''love in sound''. That love has echoed in my heart and mind wherever I've gone, all the days of my life''.